If you have ever read my biography on APH Networks, you would have known I worked at Lockheed Martin CDL Systems Ltd. Looking at CDL's website, you would also know I worked primarily on developing software for unmanned aerial vehicles. I can say I have a great amount of gratitude and respect for those people who work there, especially my team who helped me. However, one thing I was disappointed with was the fact I never actually saw any of the test flights using our software in person. I would have hoped we would be allowed to do a small flight around our workplace, especially since there was quite an open area there, but we did not have this opportunity. In fact, I have only once flown a radio control vehicle, and this was back in grade six. I went to Hong Kong that year, and my parents allowed me to buy some things back. Upon browsing a few toy stores, I found a radio controlled helicopter. The packaging, however, was huge, and we had to check it in when we brought it back to Canada. Upon opening it, the helicopter seemed to work at first, but it was terribly hard to control. It ended up destroying itself when it flew into a wall, despite our pointless attempts of wrangling the helicopter to stability. 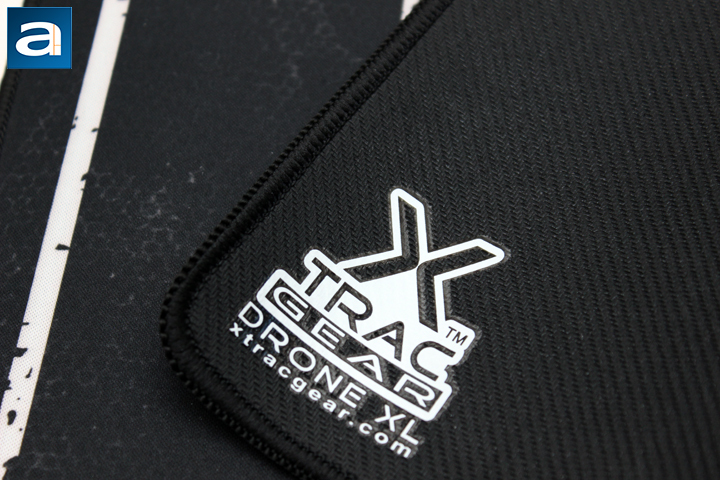 Thus when XTracGear sent us the Drone XL landing pad, I was a bit confused and apprehensive. The confusion came from the fact XTracGear is primarily a mousing surface and PC accessories manufacturer, so this seemed to be a new territory for them. I was also apprehensive because I was afraid I would crash another radio controlled air vehicle. Thankfully, XTracGear has said this landing pad should make UAVs easier to land by creating a more consistent surface. Is this the case, or will my aerial dreams end in another crash? Hopefully we have a happy ending, so let us see what XTracGear has for us today. Today's review unit of the XTracGear Drone XL arrived with the Carbonic XL, which I reviewed last week. 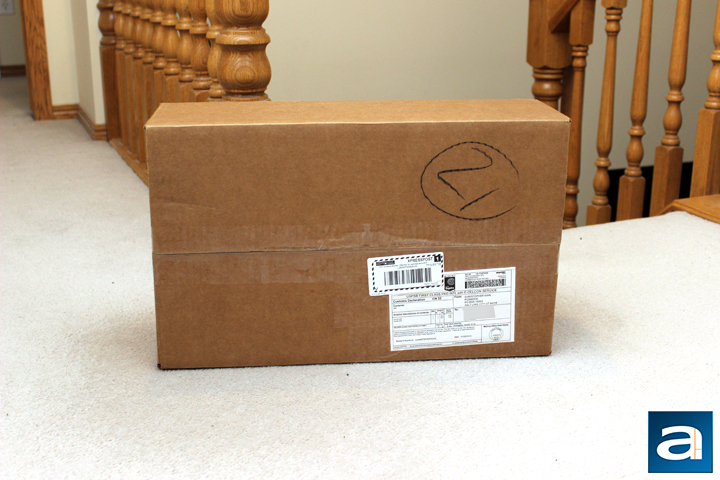 Once again, it arrived a huge brown corrugated cardboard box from XTracGear's offices in Salt Lake City, Utah. Traveling via USPS and Canada Post in their respective countries, the parcel arrived with very few dings or dents to mention. In addition, inside they have placed a whole lot of brown packing paper to ensure the two pads do not get damaged during shipping. Other than puncture damage or cuts, however, I do not really see how these pads could get damaged, even if the outer retail shell gets crushed. Of course, if an unmanned aerial vehicle intercepted this parcel and destroyed the box to smithereens, then it is possible to get damaged in shipment, but I doubt this situation will occur. Hopefully. 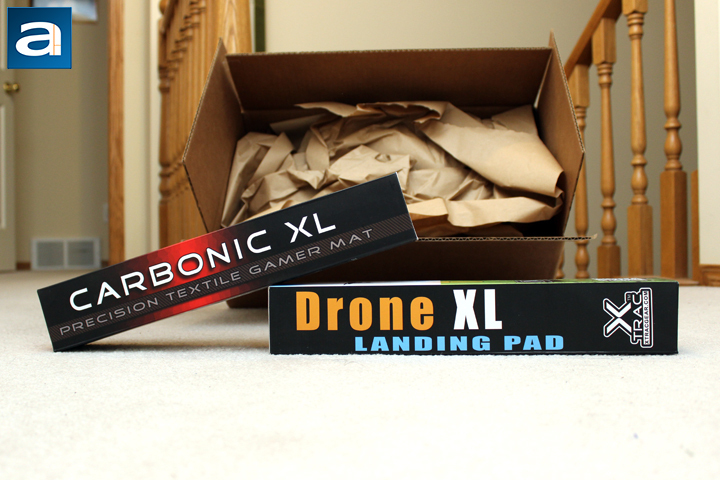 Out of the parcel container, we have both the Drone XL and the Carbonic XL in their respective retail containers. Much like many of the mousing surfaces we have received from XTracGear, the Drone XL comes rolled up in an elongated cardboard box. The retail container comes in a multicolored visual theme, with the description of "Landing Pad". Around the boxes, there are several panes of information, including key features, specifications, and contact information. XTracGear has seemingly used some tiles to show the features, so it looks somewhat reminiscent of Windows Phone 7. Unfortunately, there is no touch screen on the box, so you can only see the tiles. The top flap is also labeled with the same "Open Here for Awesome", which is something unique to XTracGear. - Easy to see high contrast landing zone. - Open cell rubber for shock absorption. As pirates would know, "X" marks the spot, and the Drone XL is no different. 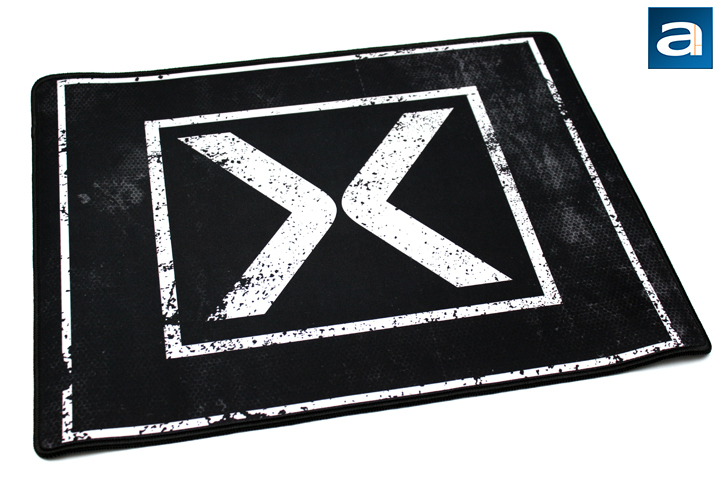 Aesthetically speaking, the XTracGear Drone XL has a huge X printed in the middle of the pad. This X is printed in white over a black background. The large X has several rectangles around it too, and is printed in a "weathered" like fashion, making it look like it has already been used out of the box. Obviously, the X also helps aerial vehicle operators visibly identify where the landing pad is, even if they are a fair distance away. There is also a bit of a honeycomb like pattern in the top right corner, again adding to the rugged looks the Drone XL has going for it. The edges are treated with the same overlock stitched border as we have seen from multiple XTracGear Carbonic mousing surfaces, and this ensures the edges do not fray over time. Overall, I like what XTracGear did with the appearances. At the back of the Drone XL is the excellent Sure Grip technology, which XTracGear has put on almost every one of their recent mousing surfaces. 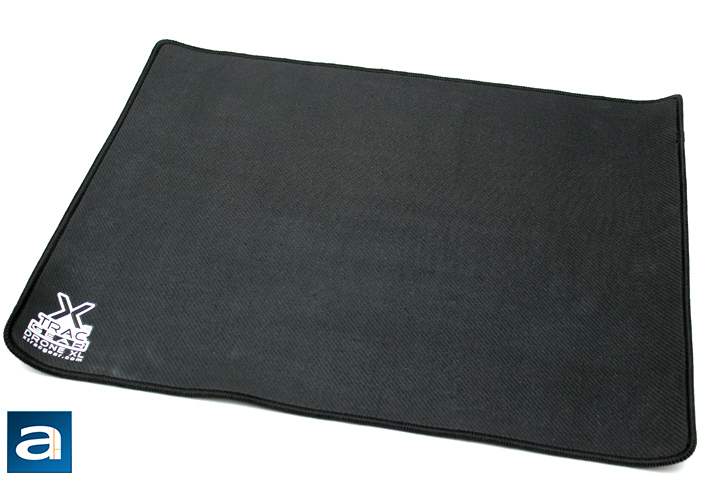 This allows the pad to surely stick to the surface, and stay in place. We will see how this helps when we put the Drone XL into our "performance" tests, as you will see later. The backing is really nice, as it really does grip the pad in place, especially when used as a mousing surface. In addition, the surface is quite consistent across the board, with the exception of one area, which is the bottom left corner. This is where XTracGear has decided to put their logo and product name. Traditionally, this stamp is placed on the front of the surface, at the bottom right corner. XTracGear promised a spill or stain resistant textile surface, so naturally, I had to put this to the test. I pulled out my trombone slide sprayer, which I still have from my days of playing in junior high school, and then in high school band. I started by spritzing the Drone XL, and sure enough, the water beaded up and did not soak much into the pad. I wiped it away, and tried it again on the same area, yet the pad kept resisting the temptation to absorb the water. Therefore, I opened up my slide sprayer bottle, and just poured water straight onto the Drone XL. On an aside, this is similar to what I did in junior high in band class when there was nothing for the trombones to play. I would pour water straight into the trombone slide, and then pump it to see the water bubble up for some immature laughter. However, the XTracGear Drone XL stayed true to its tests, with the water turning into large beads, rather than soaking in. A quick wipe with a cloth dried the pad, making it usable again. This is excellent for both now and the future. Presently, this means the Drone XL should stand up to different weather conditions, such as rain or snow. 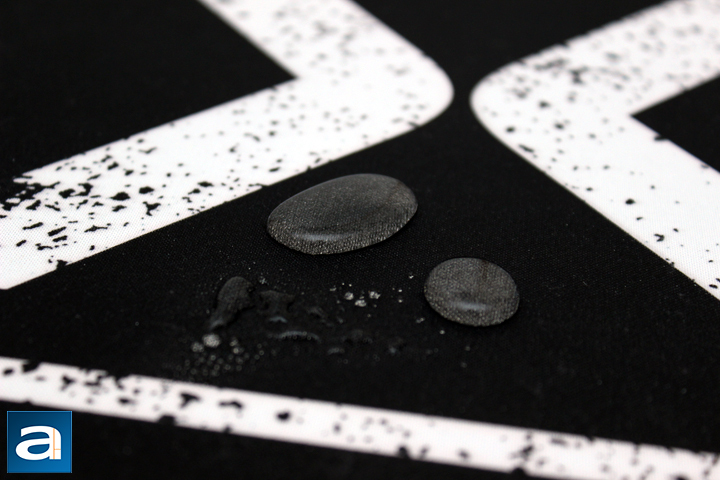 In the future, XTracGear can implement this technology into their mousing pads, to prevent water and other liquid stains. It has something I have been wishing for in many fabric surfaces, and now this could be a reality. With the help from Editor-in-Chief Jonathan Kwan, I was able to obtain a drone, or more specifically the Parrot AR Drone 2.0 Elite Edition for some testing. Unfortunately, as you can tell by the photo, this UAV is quite a bit larger than the landing pad itself. Even so, the drone easily kept in place without sliding around on top of the surface. 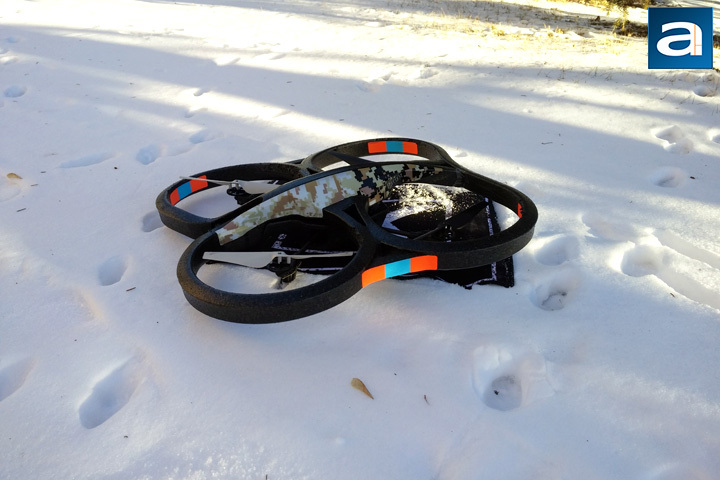 The Drone XL created a flat and consistent surface for the AR Drone 2.0 to land upon, despite the several centimeters of snow on the ground. The weather conditions were average for flying, with a slight chilly wind and a high of -2 degrees Celsius or 29 degrees Fahrenheit. Overall, I can easily say the Drone XL made launching and landing easier, if not at least safer. The Parrot AR Drone 2.0 is not exactly the easiest unmanned aerial vehicle to control, but it is only helped by the Drone XL. I will say, however, if you are looking to use this as a landing pad, you might want to consider using it for a smaller radio control vehicle. Overall, the XTracGear Drone XL is a curious product, especially considering the divergence from what we are used to seeing from this company. However, I can say the Drone XL definitely "lands" a spot in the market that is currently... unmanned. All joking aside, the XTracGear Drone XL is a great product for what it does. In addition, it allows XTracGear to do some experimentation with the water and liquid resistant surface, which I truly hope to see in their next mousing surfaces. At a retail price of $29 USD, this is a pretty spiffy accessory for your drone, especially since some consumer-grade drones can be had quite a bit more money. XTracGear provided this product to APH Networks for the purpose of evaluation. Do you have any comments or questions about the XTracGear Drone XL? Drop by our Forums. Registration is free, and it only takes a minute! posted 5 hours and 7 minutes ago, with 12 posts. posted 5 hours and 7 minutes ago, with 9 posts. posted 5 hours and 8 minutes ago, with 3 posts. posted 5 hours and 10 minutes ago, with 4 posts. posted 5 hours and 12 minutes ago, with 56 posts.